Ting Zhang is a senior research scientist/psychometrician at AIR. 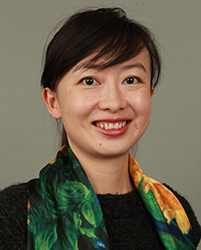 Dr. Zhang currently serves as project director of the NCES Data R Project, in which she leads a team of statisticians and data scientists developing a statistical R package tailored for analysis of NCES national and international large-scale data including NAEP, TIMSS, and PISA. She has been the principal investigator of two other research projects that study validity issues pertaining to technology-based assessments. She also has provided the NCES and the NAEP Validity Studies panel the technical assistance they require to support NAEP data analyses and methodological research. She has been responsible for quality control review of NAEP reports, data files, and technical documentation. Dr. Zhang received her Ph.D from University of Maryland – College Park in Human Development and Quantitative Methods. She obtained an AERA-NSF Dissertation Grant and an AERA SIG Outstanding Dissertation Award for her research on the role of reading comprehension in large-scale educational assessments. Her research interests focus on complex survey design and measurement validity.